There’s a problem with this syncretised virtue-signal. The Holocaust takes the definite article for a reason: the scale of suffering and sheer brutality arising out of man’s inhumanity to man assault the senses with a quite unique intensity. Certainly, there are and have been many other genocides – from the Aboriginal Tasmanians and Yazidis, to Bosnia and Darfur, to the Assyrians and Rohingya – and no one can deny the concurrence of evil and human violation common to these atrocities. 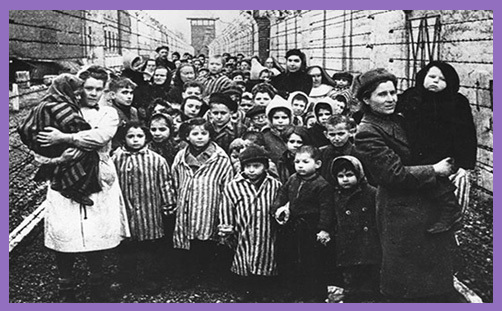 But the Holocaust – the Shoah – is of a different order of evil. The Final Solution to the Jewish Question is magnified by the sheer numbers. All evil is evil, of course: the murder of one or two Jews in the 11th arrondissement of Paris is evil, but the systematic slaughter of six million European Jews is a quite different image of horror; an apocalypse of hell, from which God’s children were not spared, and the love of God seemed to die in a dominion of darkness. It is all the worse for emanating from and within the Christendom of enlightened modernity, as though Europe’s spiritual heritage of God’s sovereignty and providence had been vanquished by a swarm of antichrists. Didn’t we leave these medieval tribulations behind us as we looked for signs of Jesus’ Coming? Yes, we were told of wars and rumours of wars, and of nation rising against nation, but nobody mentioned that the Devil would walk in Auschwitz-Birkenau, and that the divine secrets revealed to the Elect would lead not to their glorious conversion and regeneration in Zion, but to their cremation at end of the world. And then there are the Jehovah’s Witnesses. Whether it was 2,000 or 10,000 wearers of the purple star who died, we simply don’t know. But they were sent to concentration camps “where they were given the option of renouncing their faith and submitting to the state’s authority”. Those who declined the invitation were likely to meet the same fate as 6,000,000 Jews. The Holocaust was not exclusively a racist endeavour, though it was principally so: it was a unique apocalypse to cleanse the Teutonic Reich of all who were considered ‘undesirable’ – ethnically, sexually, religiously; not forgetting the sick and disabled. When politicians commemorate Holocaust Memorial Day by conflating it with “any other form of racism” in an attempt to signal a much wider virtue, they omit “any other form of prejudice”, which would, of course, relativise the Shoah to the point of meaningless postmodern notions of ‘hate’. They might not care much very much about a few thousand distributors of The Watchtower, but they might take a moment to remember those who had their testicles boiled off in hot water, or their groins cut open and metal tubes inserted in order that they might be ‘cured’ of their asocial, unmasculine reproductive incapacity. That’s the meditation: the mass extermination deriving from Jew-hate was a cosmic offence which transcends “any other form of racism”, but we have a moral responsibility to all Holocaust victims to tell their stories and let their spirits speak to ours: the evil which was not restrained in the past may yet serve God’s purposes in the present age.